Bill Caler began his career with Ernst & Young in West Palm Beach, FL, in 1972. He advanced to the level of Senior Manager by 1989 and later became one of the founding partners of Caler, Donten, Levine, Cohen, Porter & Veil, P.A. 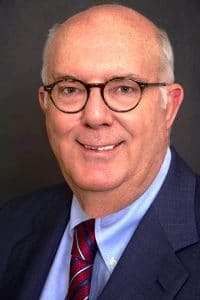 Bill has more than 40 years of public accounting experience in the area of taxation and serves clients in the areas of fiduciary, estate, and individual taxation. He also has extensive experience in the complex area of expatriate/foreign taxation. This entry was posted in Shareholders on July 31, 2016 by Brian at Mackmedia.